← Six Steps To Break The Cycle Of Codependency! This sounds like my kind of writer’s group, all right. I am uncomfortable in group settings, I can’t stand to have my picture taken, and I lack confidence in many ways. I have overcome a few times over the years, like when I decided to acquire my Master of Fine Arts degree in Creative Writing (which is the big one for me). I often fear that people will not like my voice or my writing style, but I’m learning to be content with who I am and to be truthful. As an unconventional spiritual writer, I admire people like Donald Miller who have broken the mold of formula writing and found some success in it. I love writing enough to keep going whether there is a market for my work or not. Writing is my form of worship. Oh yes, I don’t mean to imply that I don’t care about my voice being heard, only that I write to enlighten and inspire as opposed to seeking to promote myself. Remember what Garrison Keillor used to say about those powder milk biscuits, how they gave shy people the courage to do what they need to do? Well, my faith enables me that way. Thanks, Darlene! It’s based on a true encounter of me and my sister waiting for EMS to come and get her. It was really hard to write, but I think it came off really well. I shared it with three of my brothers so far (my sister-in-law cried). My therapist said I should go ahead and share it under my own name because it’s about *me* and my experience of that day, my honest feelings. You know? Hey – thank you so much. You enjoy your day too!! i haven’t read anything from you in a long time, good to see you are well and still writing. i would love to join the group if possible, where online can i do that? 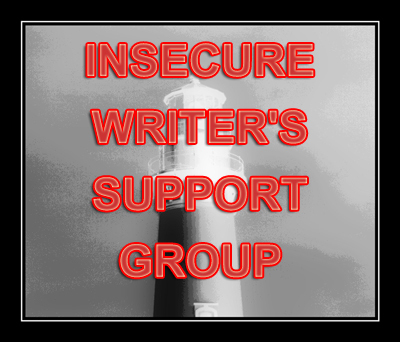 Just click the active link in my blog post where it says Insecure Writers Support Group, then scroll down to the bottom of the page. You will see a list of other writer’s blog URLs, and there will be a place for you to sign up!